Q: Where do I get my cap and gown and other graduation items? A: Caps, gowns, cords, announcements and other accessories for graduation are available at the UNM Bookstore. Q: What is the difference between Commencement and SOE Convocation? A: Undergraduate Commencement at the DreamStyle Arena, aka The Pit Degree candidates are required to wear graduation regalia. The President presides over the ceremony and will officially confer your degree upon you. Please click this sentence for more information. SOE Convocation – This is a celebration ceremony to specifically honor SOE students. Family and friends are cordially invited to attend. Cap and gown is the appropriate dress for graduates. "Civilian" dress is also acceptable. Q: Will my name automatically be printed in the Commencement Program? • Prior to April 13, 2018: Contact the Office of the Registrar at the campus they attend to have their privacy flag removed. Picture ID required. • Prior to April 20, 2018: Sign a "Limited Privacy Waiver" in the Office of the Secretary (Scholes Hall, Rm 103). Picture ID required. Q: What are the requirements to receive honors? A: There are three different honors designations for undergraduates. These are Departmental Honors, University Honors, and Baccalaureate Honors. Please click this sentence to learn more about each one of these honors. 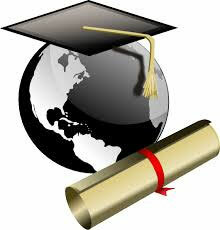 Q: How and when do I get my diploma? You can check and update the address you have on file in the UNM Portal by clicking this sentence.